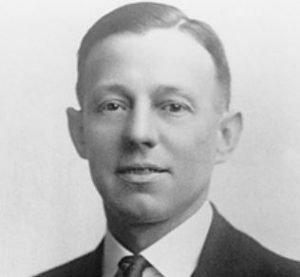 William Samuel Clouston Stanger, the son of William Hunter Stanger, an immigrant from Orkney who worked in a flour mill at Point Douglas (Winnipeg, Manitoba, Canada), and his wife, Sarah Johnston, was born in Winnipeg, Canada on 11th January, 1896. His father died in 1901 his mother was left to bring up three young children. Bina Ingimundson told Bill Macdonald: “When her husband died, she had three children. There was no way she could support them. So she gave Bill to my aunt.” Bina’s aunt was Kristin Stephenson, the wife of Vigfus Stephenson, a labourer in a lumber yard. In recognition of this he took the name of his adopted parents. “William Stephenson was a bookworm… who loved boxing. A wee fellow, but a real one for a fight. Of course, you see, he was the man of the house since the time he was a toddler.” After leaving school he worked in a lumber yard, and then delivered telegrams for Great North West Telegraph. In December 1913 he became involved in a famous murder case. John Krafchenko, a man with a long criminal record, shot dead Henry Medley Arnold, the manager of the Bank of Montreal in Plum Coulee, Manitoba. A watch found in the getaway car was traced through a pawnshop’s records to being owned by Krafchenko. The local newspaper reported that Krafchenko “has a genius for robberies requiring desperate action”. Another report claimed that Krafchenko was “one of the most cultured men imaginable”. Krafchenko went into hiding in a house in Winnipeg. It was while delivering telegrams Stephenson spotted the wanted man and reported it to the police. Stephenson followed the trial of Krafchenko with great interest and was fascinated to discover that he confessed to having a fountain pen filled with itroglycerine. He intended to use it as a bomb in order to avoid capture. During the trial he escaped from prison but was caught soon after. Five other men were taken into custody for aiding his escape, including his attorney, a legal clerk, a former building trade official and a prison guard. The local newspaper reported that his accomplices were “under the spell of his fascinating personality”. Krafchenko was executed in 1914. Stephenson was determined to get involved in the First World War. On 12th January 1916, he enlisted in the Winnipeg Light Infantry. According to the doctor who examined him he had brown eyes, dark hair, a dark complexion, five foot two inches tall with a 32-inch expanded girth. He was considered to be too small to be a soldier and the medical officer wrote “passed as bugler” on his papers. Stephenson received basic training in Winnipeg before being sent by boat to Britain, arriving on 6th July, 1916. Stephenson started up a new company at 28 South Audley Street. He joined up with T. Thorne Baker, who was carrying out research into photo-telegraphy. Both men began work in developing a machine that could send photos over telephone lines. Stephenson later told Harford Montgomery Hyde that they developed a “light sensitive device” that increased the rate of transmission.Stephenson realized that if the process was sped up even further, moving pictures could be transmitted. In other words, television sets. 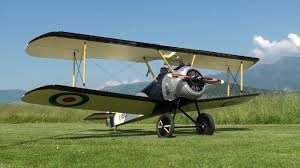 In 1934 Stephenson hired Flight Lieutenant H. M. Schofield to fly a plane produced by his General Aircraft Limited to win the King’s Cup air race with an average speed of 134.16 miles an hour in poor weather conditions. Stephenson received the financial backing of Charles Jocelyn Hambro. This enabled him to take control of Alpha Cement, which was one of the largest cement companies in Britain. He also established Sound City films and built Shepperton Studios. It eventually became the largest film studios outside Hollywood. In 1936 Stephenson joined the board of Pressed Steel Company, which made 90 percent of Britain’s car bodies. Stephenson told Thomas F. Troy that he purchased it from Edward G. Budd Company of Philadelphia for $13 million. According to Anthony Cave Brown, the author of The Secret Life of Sir Stewart Graham Menzies (1987), Stephenson came up with a plan in 1938 to assassinate Adolf Hitler with a high-powered sporting rifle at a Nazi rally. He suggested arming a “young English crack-shot with high powered telescopic sighted rifle”. However, the plan was vetoed by Britain’s foreign secretary, Lord Halifax, the leading exponent of appeasement. Instead, Neville Chamberlain, decided to negotiate with Hitler and he signed the Munich Agreement in September 1938. Ralph Glyn, the member of the House of Commons for Abingdon, arranged for Stephenson to meet leading figures at the Foreign Office. The meeting took place on 12th July, 1939. The official noted: “He is a Canadian with a quiet manner, and evidently knows a great deal about Continental affairs and industrial matters. During a short discussion on the oil and non-ferrous metal questions he showed that he possesses a thorough grasp of the situation.” Desmond Morton described his information as invaluable and by September 1939, agreement was reached for BISS (now known as Industrial Secret Intelligence – ISI) to pass information to the Secret Intelligence Service. As William Boyd has pointed out: “The phrase (British Security Coordination) is bland, almost defiantly ordinary, depicting perhaps some sub-committee of a minor department in a lowly Whitehall ministry. In fact BSC, as it was generally known, represented one of the largest covert operations in British spying history… With the US alongside Britain, Hitler would be defeated – eventually. Without the US (Russia was neutral at the time), the future looked unbearably bleak… polls in the US still showed that 80% of Americans were against joining the war in Europe. Winston Churchill had a serious problem. Joseph P. Kennedy was the United States Ambassador to Britain. He soon came to the conclusion that the island was a lost cause and he considered aid to Britain fruitless. Kennedy, an isolationist, consistently warned Roosevelt “against holding the bag in a war in which the Allies expect to be beaten.” Neville Chamberlain wrote in his diary in July 1940: “Saw Joe Kennedy who says everyone in the USA thinks we shall be beaten before the end of the month.” Averell Harriman later explained the thinking of Kennedy and other isolationists: “After World War I, there was a surge of isolationism, a feeling there was no reason for getting involved in another war… We made a mistake and there were a lot of debts owed by European countries. The country went isolationist. 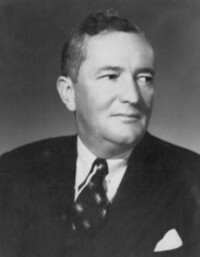 According to The Secret History of British Intelligence in the Americas, 1940-45, a secret report written by leading operatives of the British Security Coordination (Roald Dahl, H. Montgomery Hyde, Giles Playfair, Gilbert Highet and Tom Hill), Stephenson played an important role in the formation of the Council for Democracy: “William Stephenson decided to take action on his own initiative. He instructed the recently created SOE Division to declare a covert war against the mass of American groups which were organized throughout the country to spread isolationism and anti-British feeling. Stephenson knew that with leading officials supporting isolationism he had to overcome these barriers. His main ally in this was another friend, William Donovan, who he had met in the First World War. “The procurement of certain supplies for Britain was high on my priority list and it was the burning urgency of this requirement that made me instinctively concentrate on the single individual who could help me. I turned to Bill Donovan.” Donovan arranged meetings with Henry Stimson (Secretary of War), Cordell Hull (Secretary of State) and Frank Knox (Secretary of the Navy). The main topic was Britain’s lack of destroyers and the possibility of finding a formula for transfer of fifty “over-age” destroyers to the Royal Navy without a legal breach of U.S. neutrality legislation. Stephenson was very concerned with the growth of the American First Committee. by the spring of 1941, the British Security Coordination (BSC) estimated that there were 700 chapters and nearly a million members of isolationist groups. Leading isolationists were monitored, targeted and harassed. When Gerald Nye spoke in Boston in September 1941, thousands of handbills were handed out attacking him as an appeaser and Nazi lover. 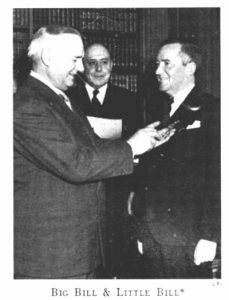 Following a speech by Hamilton Stuyvesan Fish, a member of a group set-up by the BSC, the Fight for Freedom, delivered him a card which said, “Der Fuhrer thanks you for your loyalty” and photographs were taken. Charles Howard Ellis was sent to New York City to work alongside William Stephenson as assistant director. Together they recruited several businessmen, journalists, academics and writers into the British Security Coordination. This included Roald Dahl, H. Montgomery Hyde, Ian Fleming, Ivar Bryce, Charles Howard Ellis, Noël Coward, David Ogilvy, Paul Denn, Eric Maschwitz, Cedric Belfrage, Giles Playfair, Benn Levy, Sydney Morrell and Gilbert Highet. William Boyd has argued the BSC “became a huge secret agency of nationwide news manipulation and black propaganda. Pro-British and anti-German stories were planted in American newspapers and broadcast on American radio stations, and simultaneously a campaign of harassment and denigration was set in motion against those organisations perceived to be pro-Nazi or virulently isolationist”. and a few other agents.” Only twenty copies of the book were printed. Ten went into a safe in Montreal and ten went to Stephenson for distribution. After the war Stephenson bought a house, Hillowton, on Jamaica overlooking Montego Bay. His close friends, Lord Beaverbrook, William Donovan, Ian Fleming, Ivar Bryce and Noël Coward, also purchased property on the island. Roald Dahl has argued that Stephenson was very close to Beaverbook during this period: “He was a close friend, a really genuinely close friend of Beaverbrook. I’ve been in Beaverbrrok’s house in Jamaica with him and they were absolutely like that (crossing his fingers)… A couple of old Canadian millionaires who were both pretty ruthless.” He also kept in close contact with Henry Luce, Hastings Ismay and Frederick Leathers. His friends recalled that he was drinking heavily. Marion de Chastelain commented that “he made the wickedest martini that was ever made”. Coward refered to him often having “too many martinis”. Roald Dahl argues that the original idea came from David Ogilvy who argued that “we all needed jobs in civilian life.” Dahl claims that Stephenson liked the idea and circulated copies of Ogilvy’s paper to some of the wealthy people he worked with during the war and some of them put up capital. Other people involved in the organization included Lord Beaverbrook, Ian Fleming, Ivar Bryce, Henry Luce, Nelson Rockefeller, John McCloy, Edward Stettinius, Charles Hambro, Richard Mellon, Victor Sassoon, Roundell Palmer, Ralph Glyn, Frederick Leathers, William Rootes, Alexander Korda, Campbell Stewart (director of The Times) and Lester Armour. 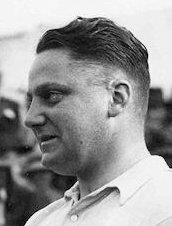 Another business associate during this period was William Formes-Sempill, who we now know was a Nazi spy during the Second World War. It has been suggested by Thomas F. Troy, a senior officer in the CIA, believed Stephenson continued to be involved in intelligence activities. David Hunt argues that the book “is almost entirely a work of fiction”. A.J.P. Taylor, wrote in the New Statesman: “Nearly everything in the book is either exaggerated, distorted or already known.” However, Bill Macdonald, the author of The True Intrepid: Sir William Stephenson and the Unknown Agents (2001), who has studied the life of Stephenson in great detail, admits that both books include factual mistakes, he played a very important role in British Intelligence during the Second World War. Stephenson and his wife moved to Bermuda. Their friend, Marion de Chastelain, commented: “Mary didn’t particularly care for Bermuda… She loved New York and she had lots of friends…. she found Bermuda fairly boring… It must have been difficult for her, because Bill was not a man to socialize. You know, go to big parties.” Soon afterwards Stephenson suffered a stroke. Roald Dahl went to see him and was shocked by the way his speech was affected. Dahl was told his survival was uncertain. One day Ernest Cuneo told him, “we need you to fight the Reds.” Dahl claimed that he perked up after that. 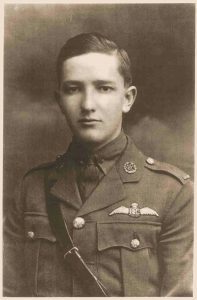 (1) William Stephenson’s Military Cross citation (22nd June, 1918). the Russian officer corps, some 35,000 experienced men, were executed or banished. condition to fight a major war with Hitler. and Luxembourg in twelve hours. He turned sad luminous eyes on Churchill. “Belgium is finished. from June 1941 head of the COI and thus one of the architects of the US Intelligence establishment. and Menzies on an operational, level. authorities, establishing his own channels rather than, for example, going through M15 to the FBI. Menzies wanted it to be he, and SIS, that provided it. times be desirable for the Ambassador to have personal contact with Mr Stephenson. New Orleans, Houston, San Francisco, Portland and probably Seattle…. follow, we should be on very dubious ground if we have not taken appropriate steps. thwarting of attempted Nazi Putsche in Bolivia, in the heart of South America, and in Panama. which could hardly be advertised at the time. sat in undisturbed lively conversation for fully four hours. risk alienating Congress – and he had a presidential election looming that he did not want to lose. to be very pragmatic indeed – and there was no greater pragmatist than FDR. free Roosevelt to act without fear of censure from Congress or at the polls in an election. operations were 100% successful: they were never rumbled. German courier, who was involved in a car crash in Buenos Aires, happened to have a copy on him? somehow managed to snaffle the map from his bag and it duly made its way to Washington. few high officials in the SIS but they were regarded as top secret. operations, yet in the wider world it still remains virtually unheard of. prime minister (with the possible exception of Harold Wilson).